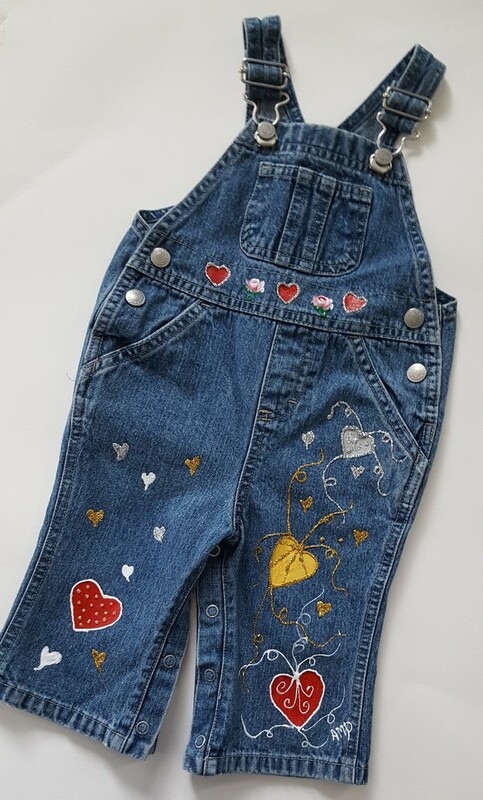 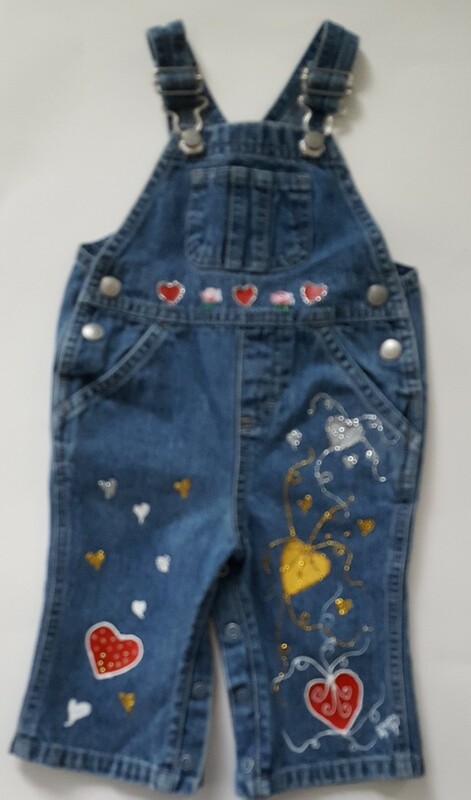 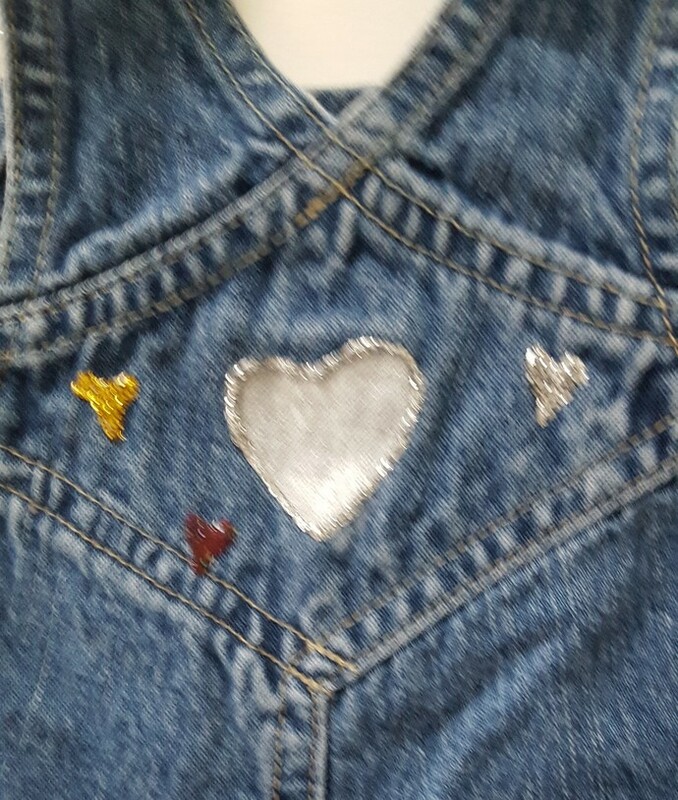 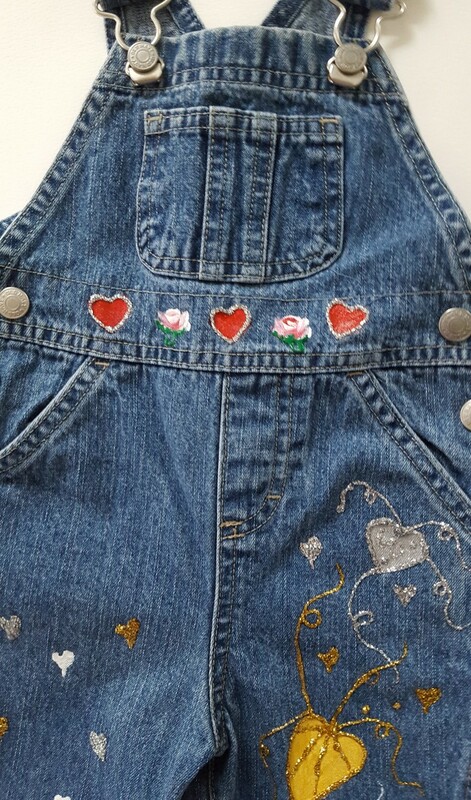 Show your love with this upcycled hand painted denim overalls. 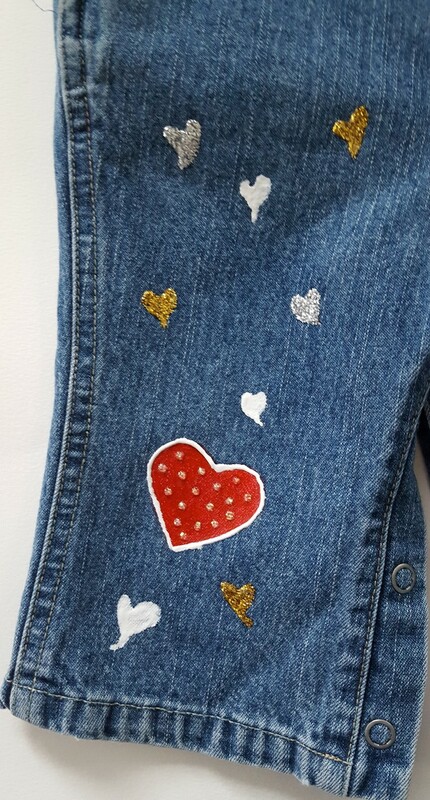 Colorful hearts with glitter to make it extra special. 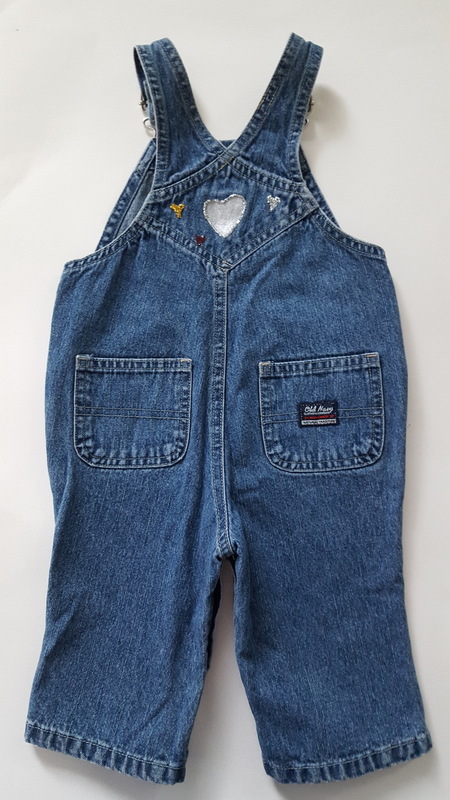 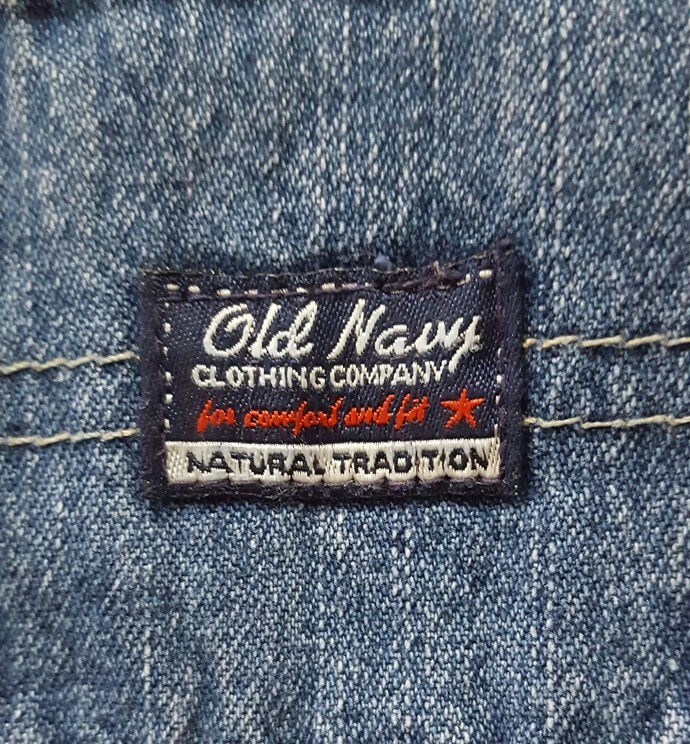 This is a recycled product, the original overalls are an "Old Navy" brand.